SFC’s role in Scotland’s shift to a circular economy, and what we can learn from Taiwan’s approach to minimising the consumption in consumer goods. 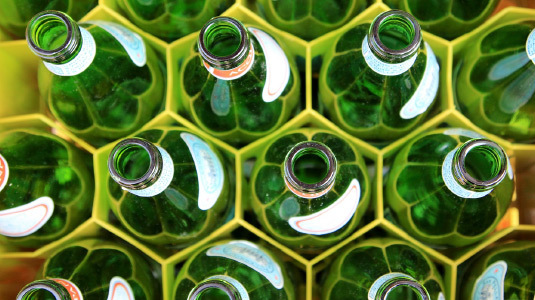 What do we mean when we talk about ‘circular economies’? In simple terms a circular economy is one that gets the most out of its resources, whilst minimising waste at the same time. You build things to last. If something breaks you try to fix it. You try to do something useful with waste you produce, like turning used coffee grounds into high value bio oils for use in cosmetics, pharmaceuticals, and food and drink. This topic was discussed at a recent meeting I attended of the Cross-Party Group on Taiwan, who were hosting Mei Hua Wang, the Taiwanese Vice Minister of Economic Affairs and Shadow Huilin Chen, CEO of the Taiwan Circular Economy Network. Ms. Chen spoke about Taiwan’s rapid adoption of circular economy approaches and also discussed areas for potential collaboration with Scotland. This was timely given the First Minister’s recent announcement of more than £700,000 additional funding to help three Scottish businesses accelerate the transition to a circular economy. Interestingly, although Taiwan’s unique political situation means it isn’t technically obligated to most international climate change targets, it is more than pulling its weight. Taiwan has one of the highest rates of recycling in the world, and the jerseys its team wore to the 2010 and 2014 World Cups were made from recycled PET bottles. Though they failed to qualify for the 2018 tournament, 16 of the 32 national teams that competed wore Taiwanese-manufactured jerseys. So what does this mean for us? Well, alongside Zero Waste Scotland, SFC is a co-funder of the Scottish Institute for Remanufacturing (SIR). Based at the University of Strathclyde, SIR has so far allocated £743,000 to 33 projects, which match universities with business. The value to Scottish companies from SIR projects is projected to be £45m once the new remanufacturing processes have been applied. One case study undertaken by the Advanced Forming Research Centre and a diesel engine manufacturer identified that a new method to clean cylinder head casings by blasting them with recycled glass beads was not only more environmentally friendly, but faster by shaving 40 minutes off the regular time, and could lead to annual savings of £30,000. In another example, Glasgow business The Turbo Guy was able to boost productivity levels by over 20% and reduce costs by 15%, after having Heriot Watt University come up with a tool to analyse their production flow and suggest process improvements. This video, created by another SIR project, also does a good job of explaining the benefits of circular economics – starting with an anecdote about how lightbulb manufacturers in the 1920s deliberately made their products worse in order to shift more stock; the latest version of this being that if one component breaks on your washing machine or flatscreen television, it’s often cheaper to replace the whole unit. That kind of waste, and the myriad consequences that go with it, is what the shift to a circular economy is all about. In Taiwan this means manufacturers paying a fee towards the cost of electronic waste every time they sell a new mobile phone, or local authorities procuring lighting as a service (rather than buying boxes of lightbulbs). Clearly Taiwan is leading by example when it comes to recycling, but as SIR’s case studies indicate there is huge potential for Scotland to reap the benefits of remanufacturing, particularly when it comes to our traditional strengths like engineering and aerospace, and our higher and further education institutions are playing an integral role in getting us there.